Scotland’s most senior RAF officer has revealed that personnel “love” being stationed in Moray, ahead of a massive influx of servicemen to the region. More than 400 extra people are due to be deployed at RAF Lossiemouth over the next two years as part of a huge expansion of the base. The first Poseidon P-8 spy plane is due to arrive at the station next year while Boeing has also announced plans to build a training base. 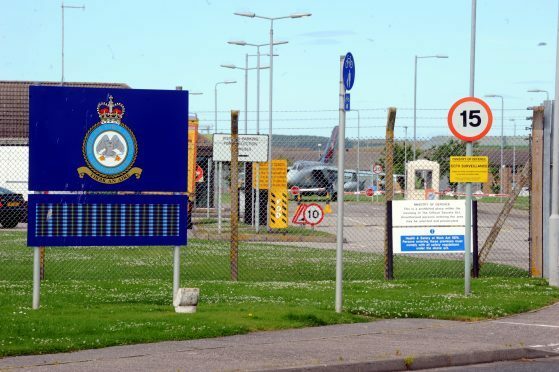 During a visit to the area, Air Vice-Marshall Ross Paterson revealed personnel “do not want to leave” Lossiemouth once they are stationed there. And John Cowe, chairman of Moray Council’s economic development committee, stressed the region’s lifestyle and natural beauty played a huge role in the attraction. He said: “A lot of people come up to Lossiemouth, get married, settle here, and never look back. That’s gone back to its Navy days. “Quite often, it’s a case of “Where on earth are we now?” when they get the call to come up, but they don’t want to leave once they get here. “I speak to a lot of people, at Kinloss as well as Lossiemouth, whose partners set up businesses and get jobs. They have a huge role to play, and that’s only going to get larger with the arrival of the P-8s. Work is expected to start imminently on the £400million expansion project at RAF Lossiemouth, which will also include a new Typhoon squadron being stationed there. Once all the deployments have arrived, it is estimated the complement at the base will reach an all-time high of about 2,800. While in Moray, Air Vice-Marshall Paterson explained that Lossiemouth contained half of the UK’s air defence units. He added: “There are 2,000 people based here at the moment and that’s going to grow. The operational tempo is massive, and the whole station is focused on it.